In this blog post I will not be covering the consumption of application/groups via the ABAP FES. The FLP role will be assigned to end users whom will be accessing the FLP on Portal. This role will contain the iviews we wish to represent as tiles under the FLP. These iviews may be existing ones already defined under your Portal, or else new ones you may wish to define. All iview object templates are supported here, including URL, WDA, WDJ, Transaction, UI5 etc. Tip: It is recommended to create a new delta link copy of both Fiori Framework Page, Blue Crystal theme, and make a new Desktop. This way, if you decide to make changes to the framework page/theme configurations they will be retained after upgrade. You should have a new rule defined something like the below. Apply the changes to the rule and save the MRC. Optional but recommended step. Navigate to Content Administration -> Portal Display -> Framework Page Configuration. In the drop down menu here select the Desktop/Framework Page combination as chosen above. Disable the personalization option for now (untick Enable personalization). Why? Each time a change is made to device groups, setting app for homepage you will need to clear the UCD cache for your user. By disabling personalization while configuring your FLP@EP, you are saving yourself the time of having to do this each time changes are made. At this point I now have a fully working tile/URL iview pointing to website as required. I would like the icon on my tile to display a custom image (in this case the SAP logo) instead of the calendar picture (pictogram). Our location to the SAP logo under the WRR is now pcd:resource_repository/FLP/sap.png. notice the inclusion of pcd:, not included in the above, but we must include to reference our PCD object. We must now set the Image Type property to equal, image (full width), instead of icon. Although in the above example we use a URL iview, it is also possible to assign all iview object types, including UI5, WDA/J, Transactional etc. The recommended theme to use in such cases is sap_bluecrystal, and FLP@EP requires Standards rendering mode under MSIE web browser. For details you can refer to this excellent blog post: IE and Portal – Standards/Quirks Mode Evolution (or Love-Hate Relationships). It is possible to assign tiles under up to 20 different categories*. * If more than 20 categories are required, please refer to SAP Note 2214932. The ID will be used to reference the category an iview should belong to, the Order will define the order in which categories should display and the title is the Title that you will use for the category. But when i open the http://<host>:<port>/irj/portal/zfiori it open the portal home no the fiori app iview. Please let me know do i missed nay steps. Thank you for your comment! I would firstly recommend disabling Personalization under your Fiori Framework Page/Desktop configuration to prevent caching issues. Can always reenable when you have configured your full catalog as required. 5.) Set your iview property to Default App in Homepage so you should see it with personalization disabled. If you are not consuming UI5 application from an ABAP FES please change SAPUI5 source from ABAP to Java in the Framework Page configuration. Should sort this for you. 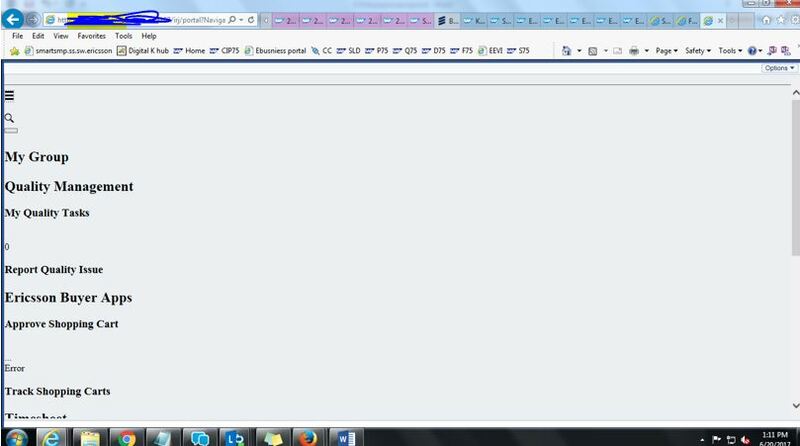 i changed SAPUI5 source from ABAP to Java but now the page is blank.Please suggest. When you access the FLP are any errors getting recorded under the default trace file? Also please try clearing the UCD cache (SAP Note: 2318445) in the event this could be causing the strange behaviour. If issue remains, what Netweaver/SP/Patch level are you on for EP-BASIS & EP-RUNTIME components? I’m having one issue. I have followed your steps, but when I’m clicking the tile, it is saying “Could not open app. Try again later”. Am I missing something? I’m happy to hear you found the blog helpful. What type of iview are you trying to access via your Launchpad? Do check Note 2031108 to see what applications/integration scenarios are supported in FLP@EP scenario. Please also clear the UCD always after making changes to your iviews as per Note 2318445. I’m trying to access ‘URL iview’ via Launchpad. I have checked the note 2031108 and it seems to be in line with the recommendations. I have cleared the UCD based on the note 2318445. Still the issue persists. Actually I’m trying to integrate one of the Solution Manager tools(Business Process Monitoring) with EP. It is working as expected in custom EP but in FLP we are facing this issue. The supported method for integrating SolMan in Portal is using Note 1399645. I would suggest checking this first. Please also create a URL iview to point to another URL to test if this scenario is working. Thanks! It’s a very informative blog. I am facing an issue in display of SAP Fiori Launchpad contents when being launched from portal Role (web-dispatcher portal url). I am getting the content as in below screen-shot. Please note that the same content is being launched properly when using direct web-dispatcher fiori launchpad url. Please help in resolving the same, if anyone has faced similar issue earlier. * Web-dispatcher is configured for integration scenario and we are able to access portal using same.